Q: When is it ok to use chord substitutions on standards? Also, can you explain tritone substitutions? A: The use of chord substitutions is fun to practice but must be used with caution on the gig. 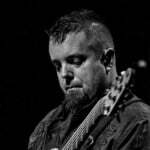 Our role as a bass player is to support the harmonic foundation for the rest of the band, as well as lock the rhythms with the drummer. 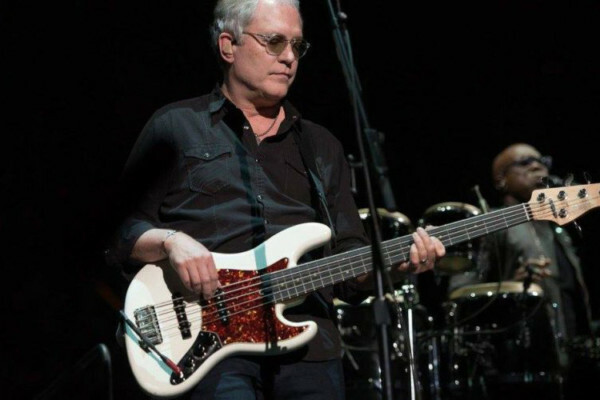 Bassists should see themselves as a bridge between the drummer and the pianist or guitarist. When we start trying to change the harmony – or imply a different harmony – we will affect how the rest of the band plays and sounds. If the rest of the band knows how to listen well and react, it can be a beautiful thing. But there is always the possibility that you will just throw people off, or sound like you got lost or forgot the changes. This means that we have to play close attention to context. If you don’t play a lot of standard jazz gigs, you might want to stick to the tune, for the most part. But always listen so if someone else wants to take it in a new direction, you’ll be able to happily follow along and trying to either compliment or contrast the new direction in a musical way. The easiest example of a chord substitution a bassist might employ is that of a first inversion (3rd of the chord in the bass). This is pretty safe, as your still playing in a consonant way, not rubbing the harmony in a harsh way. Generally speaking, I think chord substitutions are best left to the chordal instruments but the second part of your question relates well in as much as you can often use a tritone substitution for a dominant chord, often causing a half-step resolution as opposed to resolving by a 5th. A tri-tone resolution is basically replacing a dominant chord with another dominant chord, the root of which is a tri-tone away (sharp 4 or, literally, 3 whole-steps away (ergo TRI-tone). This works because of the function of a dominant chord and how it resolves to a tonic. If we look at a G7 chord, we have G B D F.
The F and B notes happen to be a tri-tone and have a bit of dissonance in the sound but both resolve by a half step to the CMajor chord tones of C and E by a half-step. In other words, the 3rd of the G7 resolves to the Root of CMajor and the F resolves to the 3rd of CMajor. Now, if we replace G7 with a C#7 (the root of which is a tri-tone away) we get C# F G# B. While the C# and G# create a bit of a rub, the F and B still resolve nicely to the new tonic, creating an equally well functioning dominant chord as our original G7 chord! Note: I used Db instead of C# because of the downward motion. C#7 is the same as Db7. 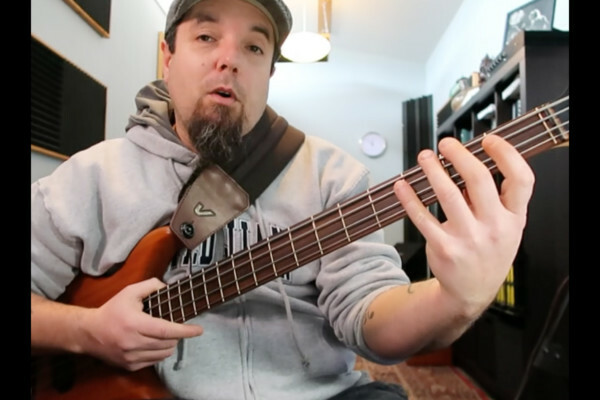 Using just those simple examples of 1st inversion and tri-tone subs can be a nice sounding an effective way for a bassist to alter the changes they are playing without throwing off the rest of the band. Another interesting thing happens when you use tritone subs which is often overlooked: the tensions “invert”. For instance, the tensions 9(D) and 13(A) over a C7 chord become b13(D) and #9(A) over it’s tritone sub, Gb. So if it’s a sub of a dominant with altered tensions be sure to use unaltered tensions(9,#11,13) and if it’s a sub of a dominant with unaltered tensions use altered tensions(b9,#9, b13). If you aren’t conscious of what appropriate tensions and chord scales to use in this context things can get pretty ugly! Many times on jazz riffs and such, we’ll take a set of changes in whatever key and begin there. The other day we did this jazz/mambo thing which somehow evolved into this 5/4 fast walking jazz line using the same changes. I found myself using the notes within a given scale to interlace between changes. The result (which we recorded) was wild and certainly had its moments. It is, however, very important to follow Damian’s suggestions here. You might not always be playing with a guitar or keyboard player who is hip to what you are doing. As bass players, at the end of the day, we still have that responsibility of keeping it in the pocket. Sometimes, a song really needs you to keep it on the one and lead off with the root before anything else. Other times, ya might just have a bit of leeway. 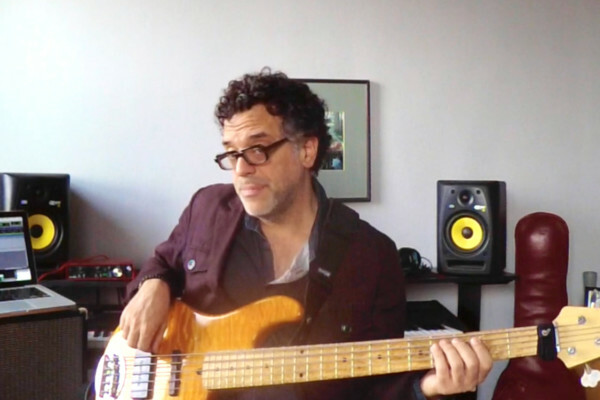 For this reason, I always find it imperative that a serious bass player (especially in jazz/funk/fusion) to play piano and have one around to fully develop your theory and changes while composing and practicing. I tend to agree, for the most part on substitutions. Calling it a tri-tone substitution might be a bit misleading if you don’t understand the full theory of it. It’s easier to call it a b2 sub or something similar. About the only thing I would use in a standards format might be a iim7 for the IV chord and maybe a iiim7 for the I, none of which really “move” harmony away. In my own trio though, the gates are open for a lot more. From my viewpoint, I was referring to a progression downward like iim7, bii7, I. Most of those progressions are a strong movement, away from the harmony or tonal. What you call it would be most related to how you originally learned music theory. excuse me.. what does ? mean in a chord? (I’m sorry, I’m not good at theory :( ).